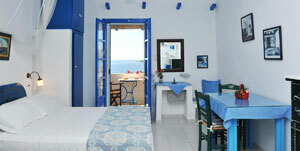 Dolphin St.Georgio Villas & Suites Hotel is located in St.Georgio a traditional Cycladic village of Antiparos. 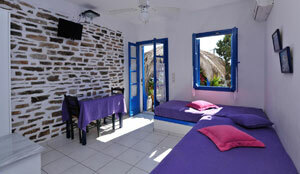 It is 11 km far from Antiparos town, in a windless cove, opposite the Despotiko island, where you can discover virgin beaches and visit the archaeological site. The famous stalactite cave is 3 km away from Dolphin. 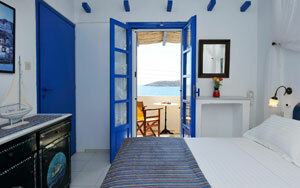 The hotel is 10m from the sea and 80m from St. Georgio beach with the clear and crystal water of blue Aegean Sea.